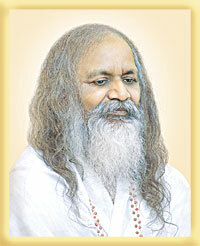 Mahesh Yogi was a genius, who formulated the Seven States of Consciousness. He founded the rationale and methodology for generating higher states of Consciousness. Dr Keith Wallace, ex President of MIU, defined Enlightenment as the full development of Consciousness, depending on the harmonious functions of every part of the human body. He said that India is the home of the most profound knowledge and procedures for the development of Physiology. What the ancients meant by Supreme Knowledge, Jnana, was that state of perfect order, zero entropy, he says in his article The Neurophysiology of Enlightenment. In his PhD Thesis The Physiological Effects of Transcendental Meditation, he conclusively proved the existence of a Fourth Major State of Consciousness. Here is an abstract of a study posted in the sessions at the Lucidity Associations Conference on Higher States of Consciousness in Chicago in 1990. This is a state of inner wakefulness with no object of thought or perception, just pure consciousness [TC], aware of its own unbounded nature. It is wholeness, aware of itself, [Self-awareness] devoid of differences, beyond the division of subject and object, transcendental consciousness (Maharishi, 1977, p. 123). TC is held to be as distinct from the ordinary waking state as waking is from dreaming or sleeping. Recent research reviews have identified over twenty physiological correlates distinguishing TC from simple relaxation, sleeping, dreaming and waking (See Alexander and Boyer, 1989; Alexander, Cranson, Boyer and Orme-Johnson, 1986; Wallace, 1986; for a complete review). He had given millions the experience of Transcendental Consciousness and his contribution to humanity was immense. He took Indian Philosophy far and wide and made Geetha one of the most popular books ever! May his soul rest in Peace! He defined the Geetha as the Lamp lit by the Lord at the altar of humanity, redeeming Man from Ignorance! He travelled far and wide with the message of Vedic Wisdom and was adored by Nobel Laureates and intellectuals. He was one of the greatest sons of India! This entry was posted on June 16, 2010 at 11:54 am and is filed under Articles. You can follow any responses to this entry through the RSS 2.0 feed. You can leave a response, or trackback from your own site. I met Maharishi many times over the years. He was always an inspiration to pursue enlightenment as a realistic goal for the average person. There are many wise Masters and Maharishi is one of the best, tireless and unbelievably commited to helping mankind. JAI GURU DEVA! OM SHANTI SHANTI! May silence and peace embrace us all and may the grace of the guru shine forever in our hearts. Maharishi, was a truly divine man. He is the infinite mystery, minus the “he”, beyond comprehension, blissfully stretching my mind.